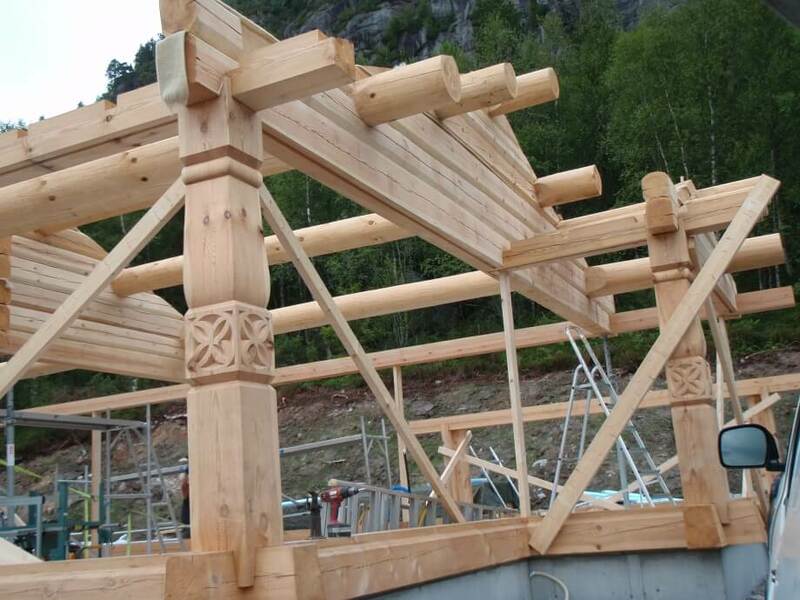 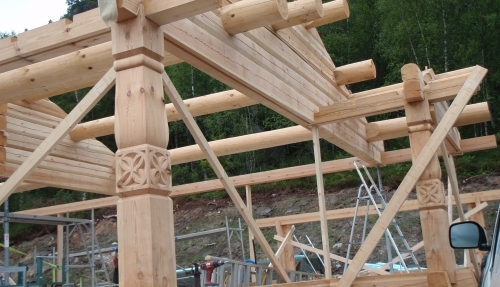 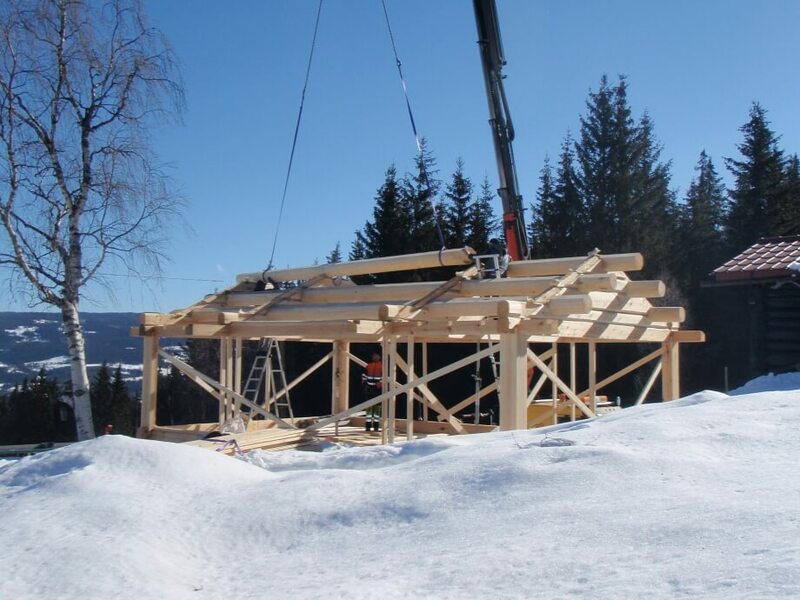 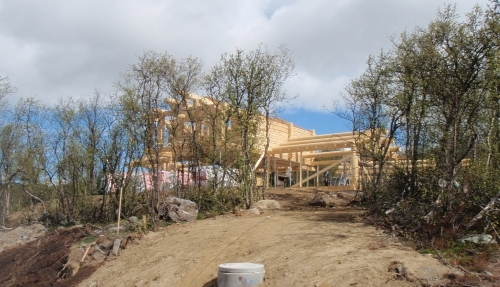 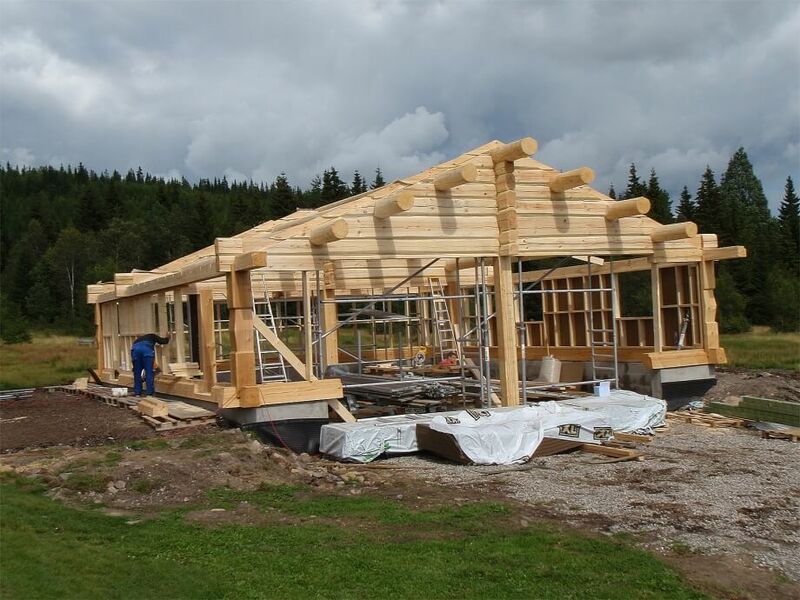 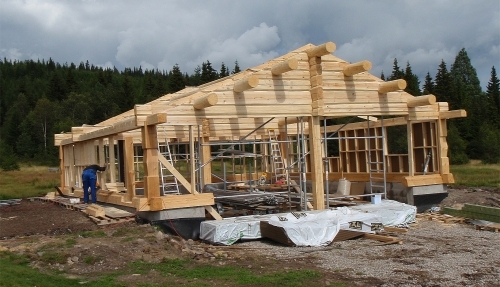 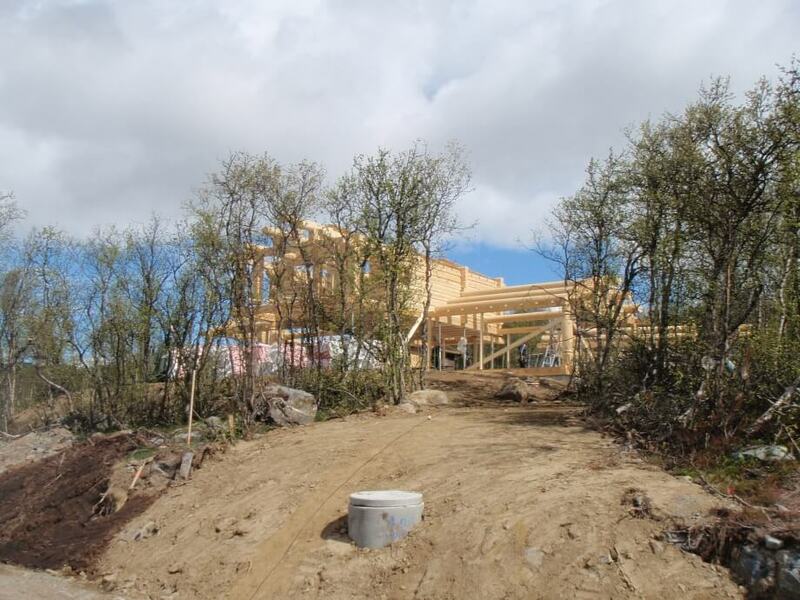 Timber frame house built by Norwegian technology is considered as one the of the most complicated in this area of construction. It is different from other frame structures in the way that only ground floor is made as the frame structure. 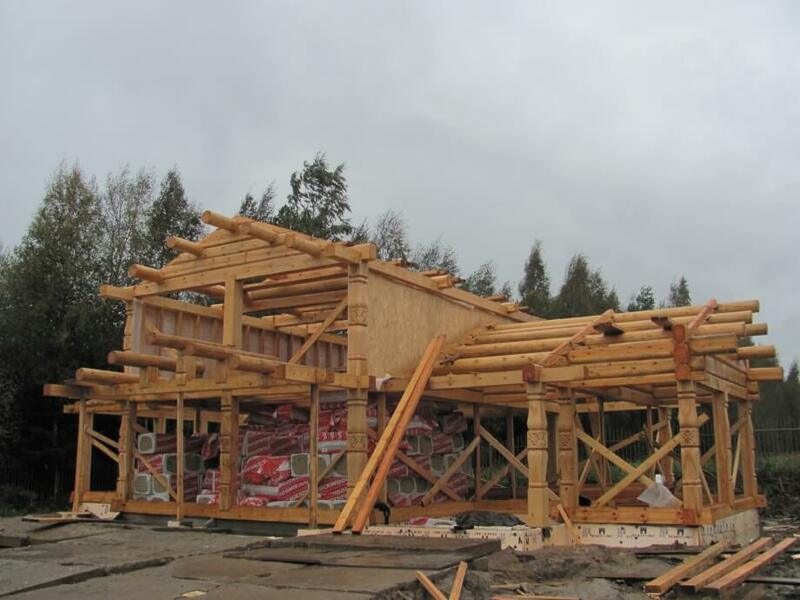 Gable ends and skids are the same as in the log house. 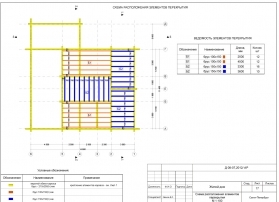 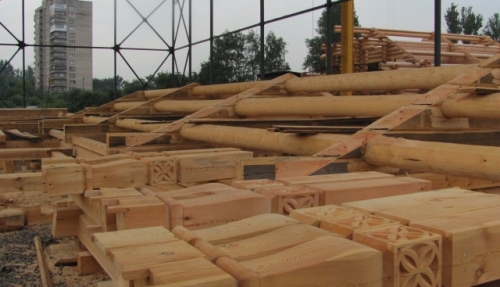 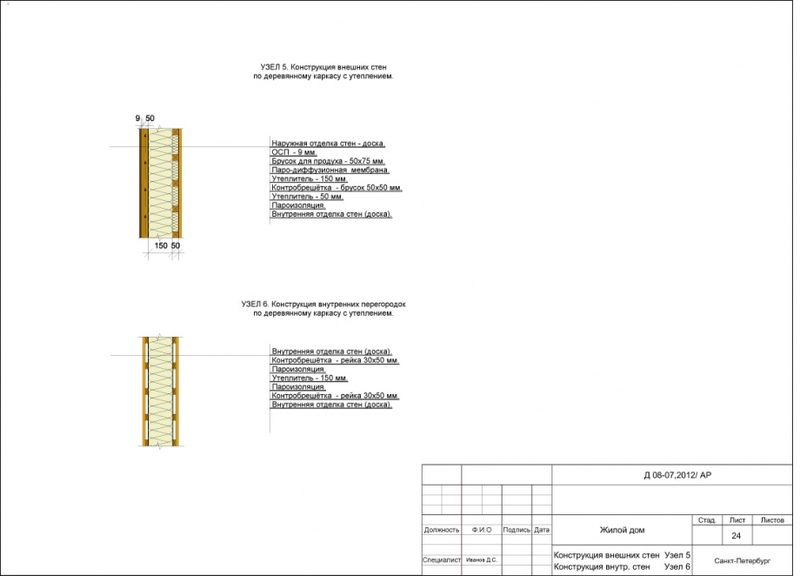 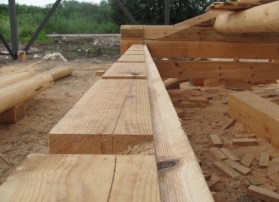 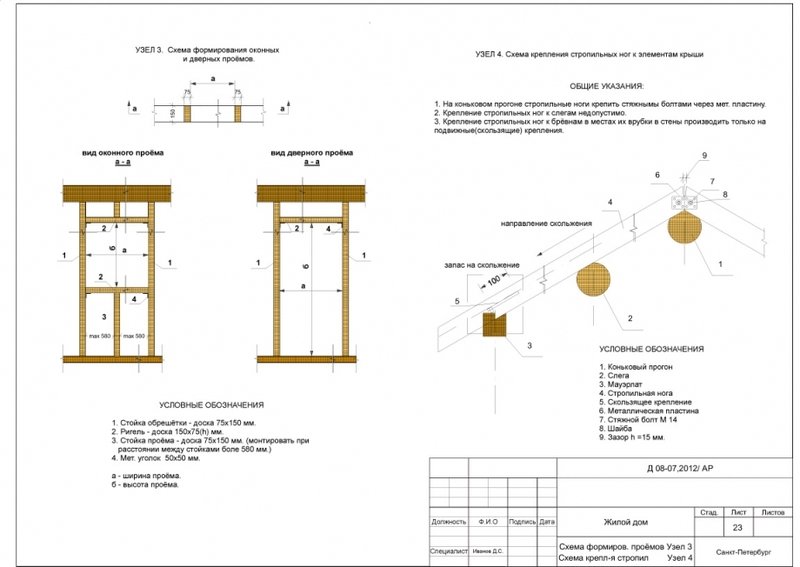 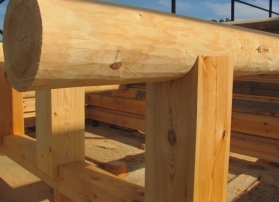 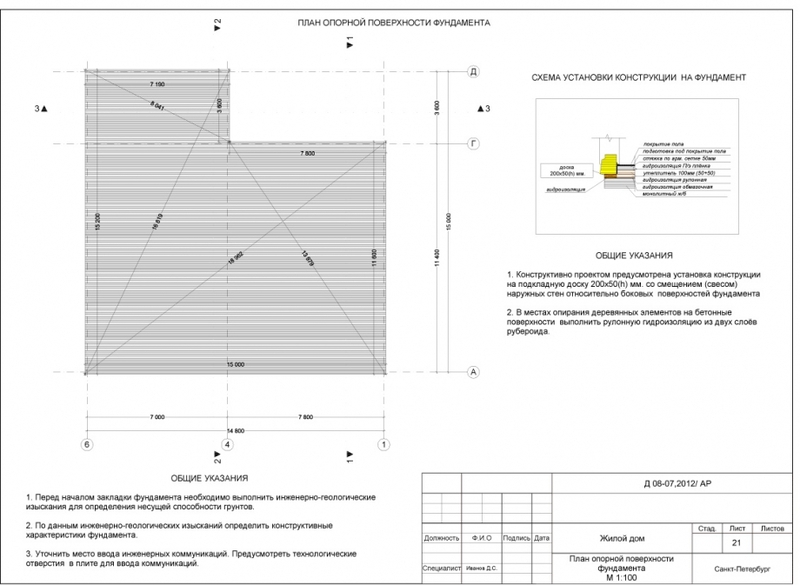 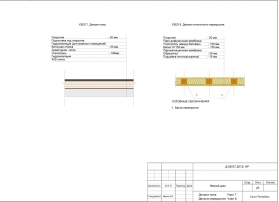 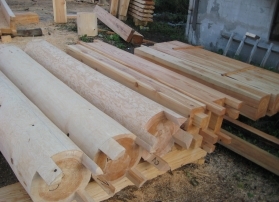 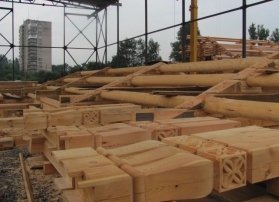 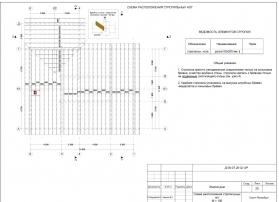 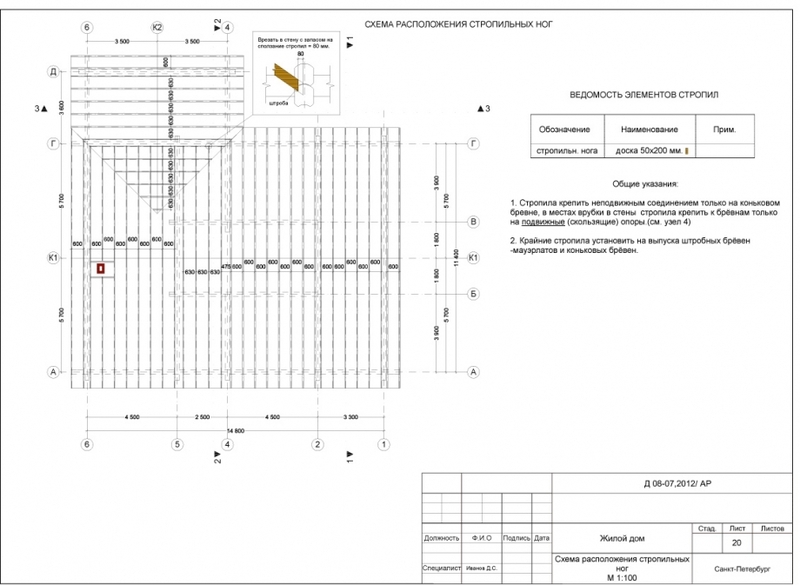 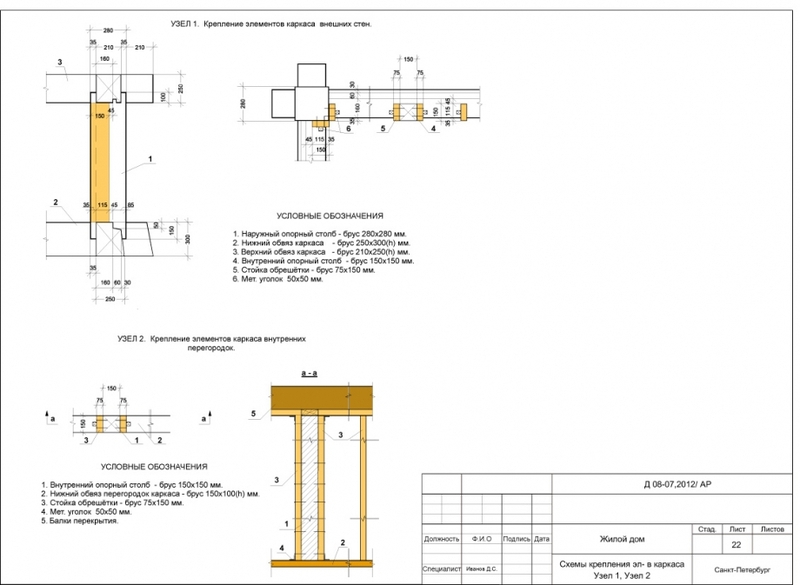 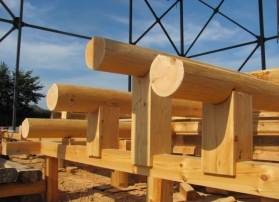 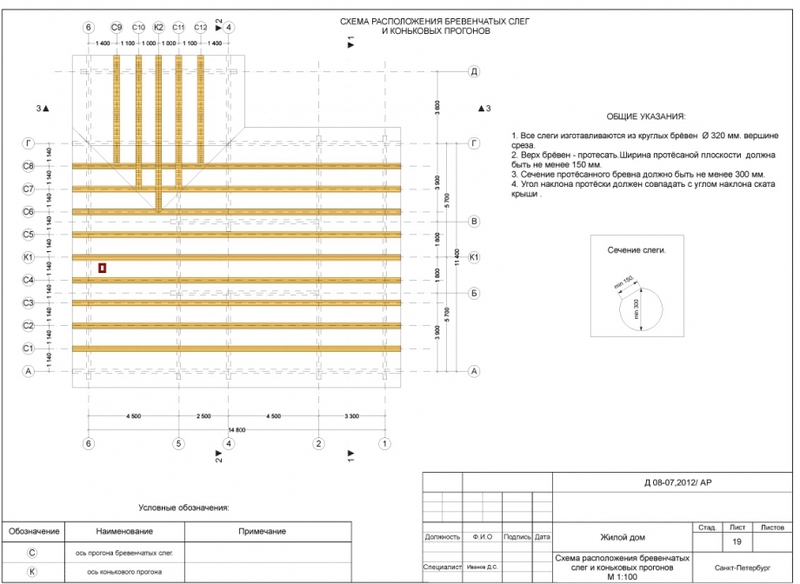 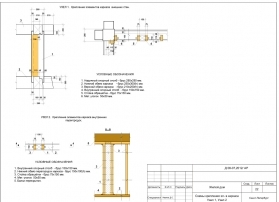 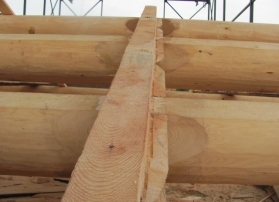 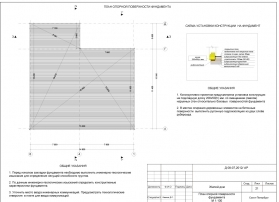 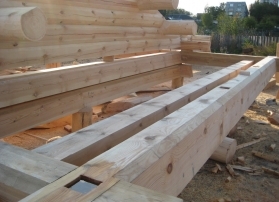 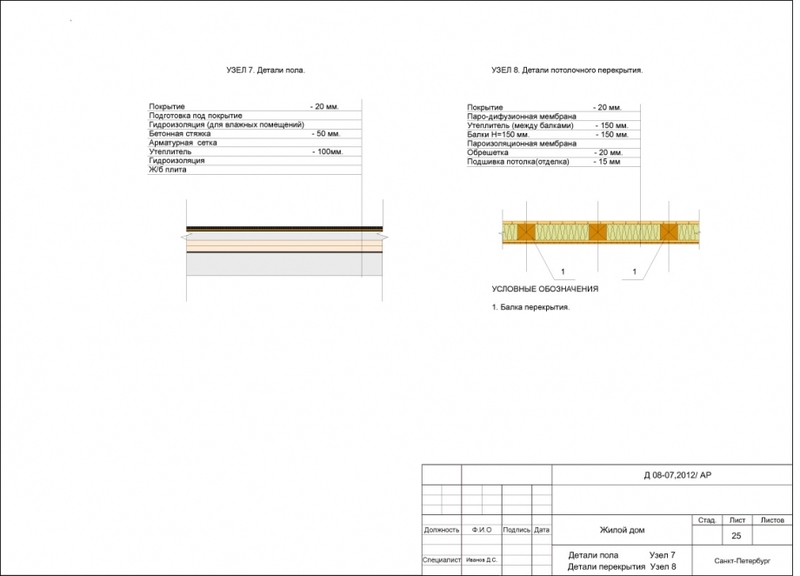 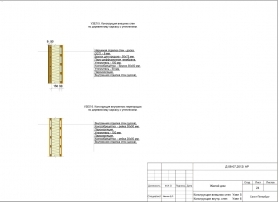 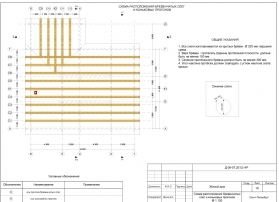 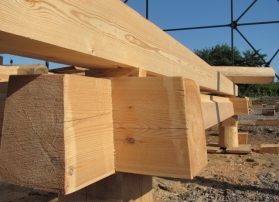 Lower ledger of the frame consists of large square logs 300х350mm. 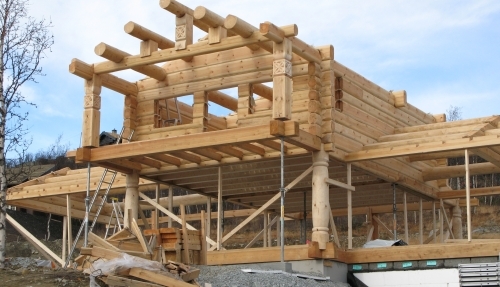 Square log on the facade possesses a cone. 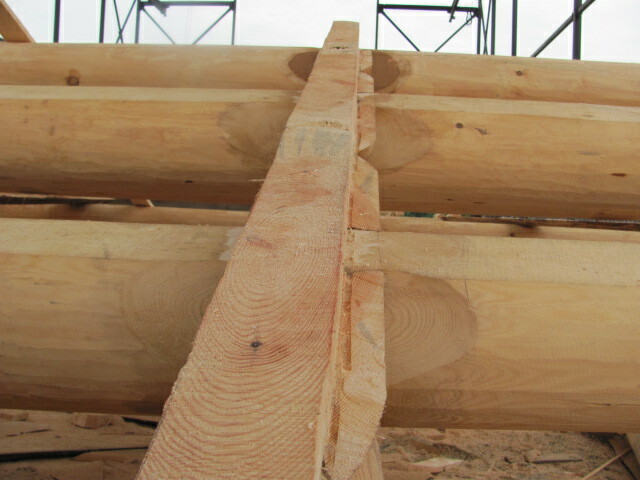 In the upper part of the square cone log there is done the facet equal to the thickness of board with which it will later be finished. 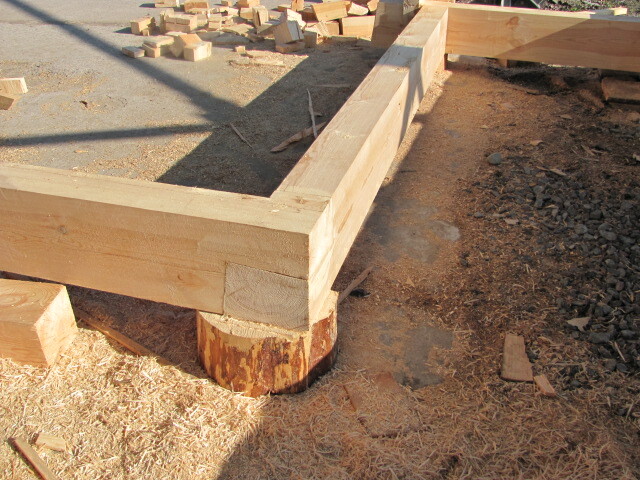 Below there is arranged a dropping nozzle to avoid water flowing under the house. 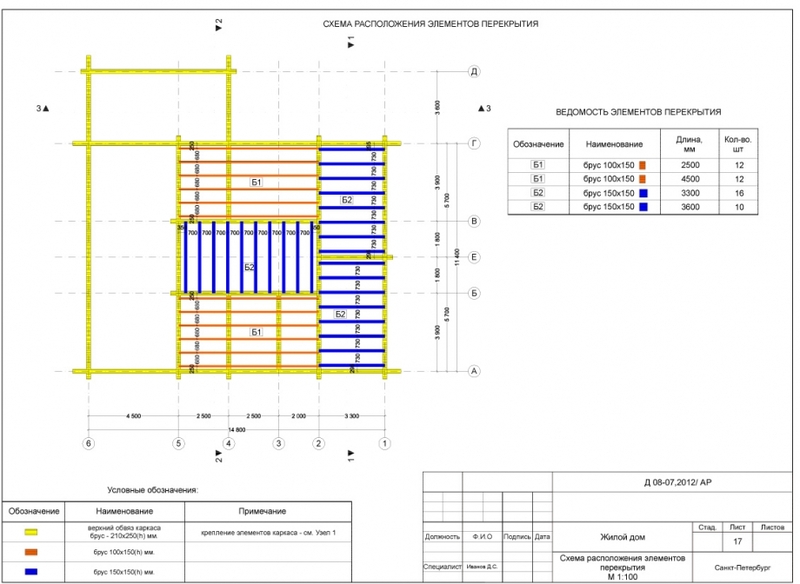 Lower trapezium shaped ledger of the frame house is 300Х350mm. 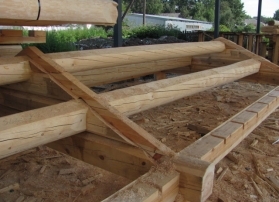 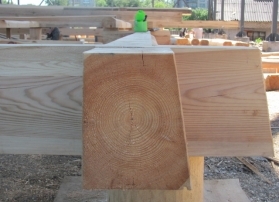 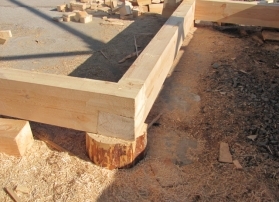 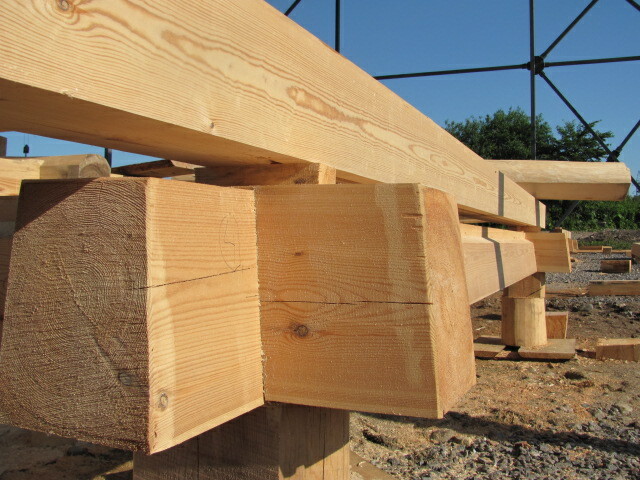 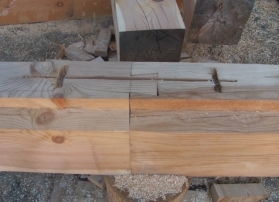 In the left lower corner there is a kerf (dropping nozzle) to avoid water getting between the lower square log and foundation. 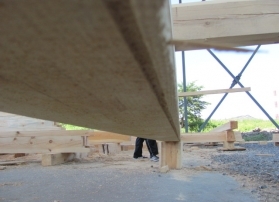 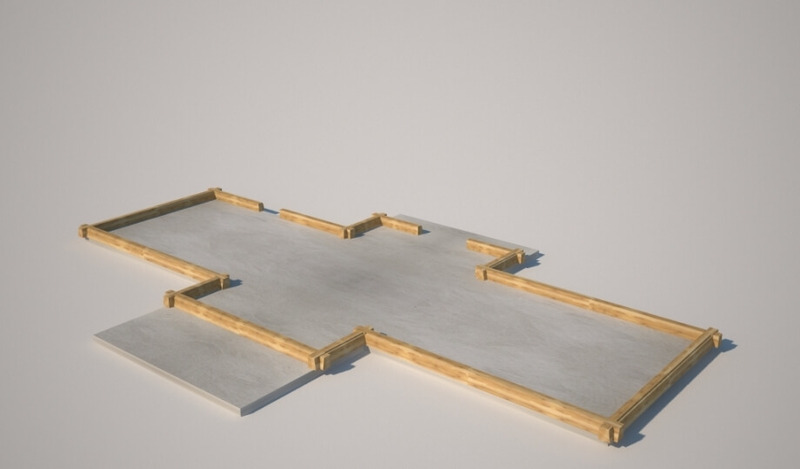 In the left upper corner there is a kerf equal to the thickness of the finishing material. 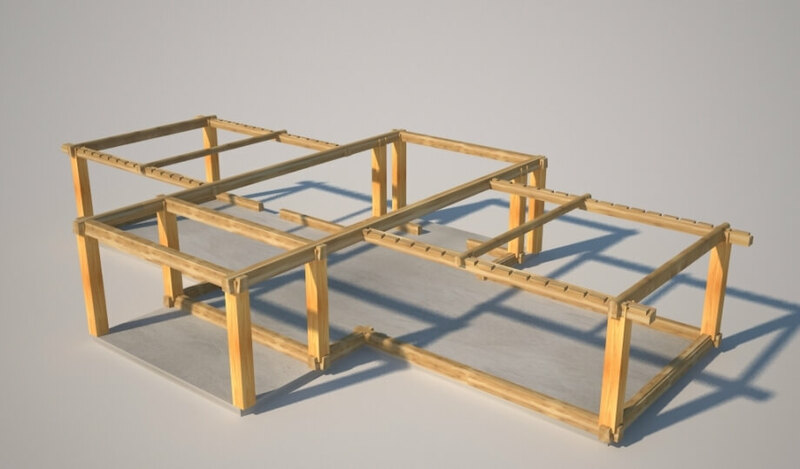 Any materials can be used for inside and outside finishing – glass, drywall, untrimmed board, siding and so on because the frame structure does not give the shrinkage. Upper, cut part of the frame house is supported by large round or square, depending on design, timber carved posts with diameter 48 cm. 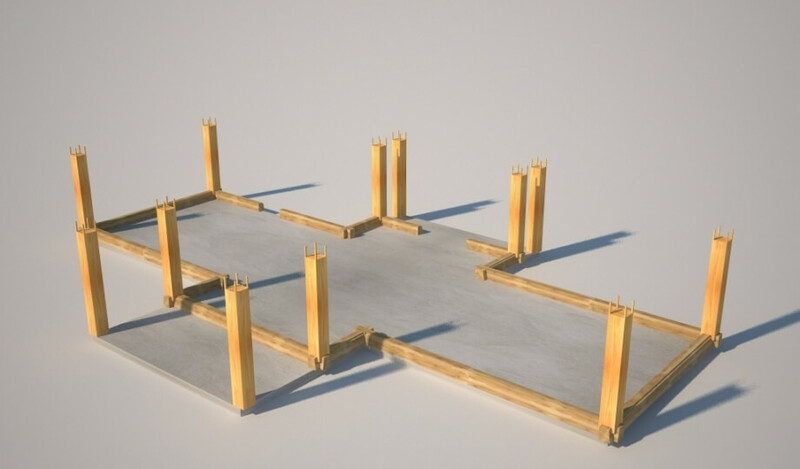 Posts also play a great role in design of the house on the whole. 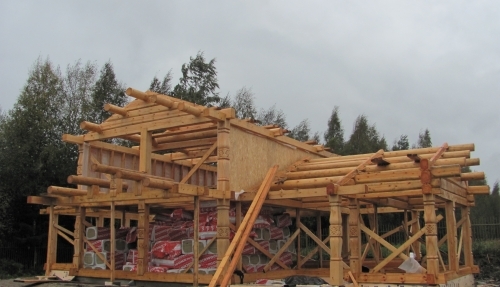 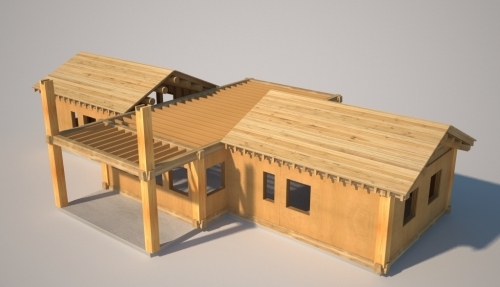 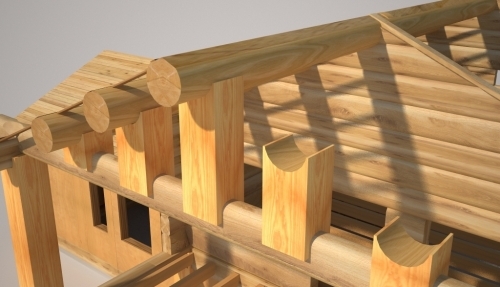 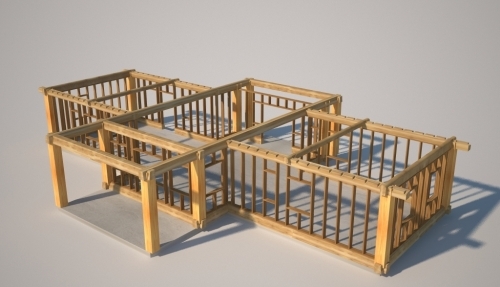 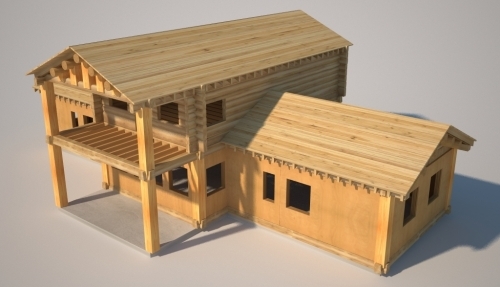 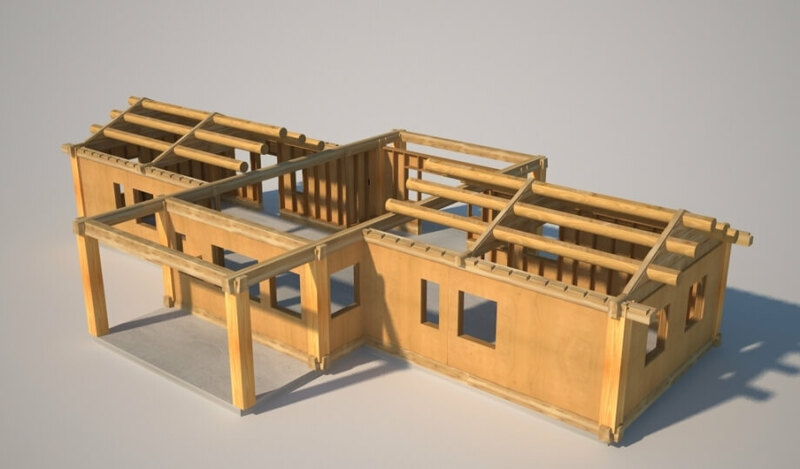 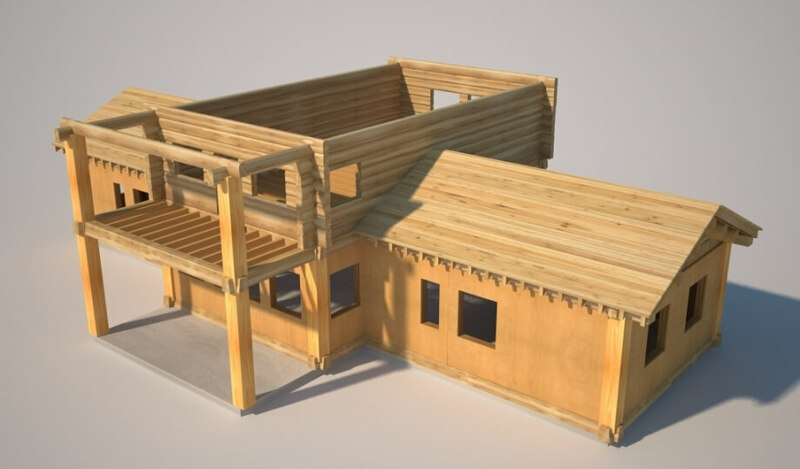 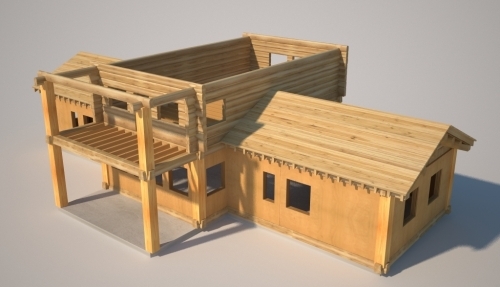 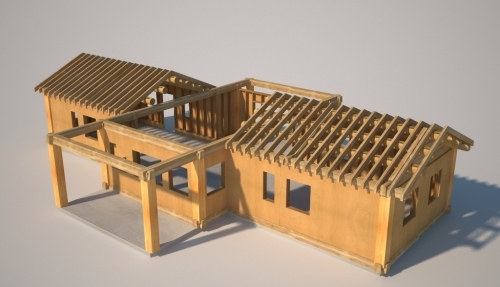 The cost of the frame structure is 40% cheaper comparing to log house. 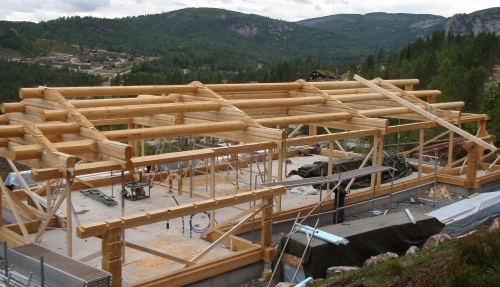 There is a big choice of finishing materials and layout of the house.. 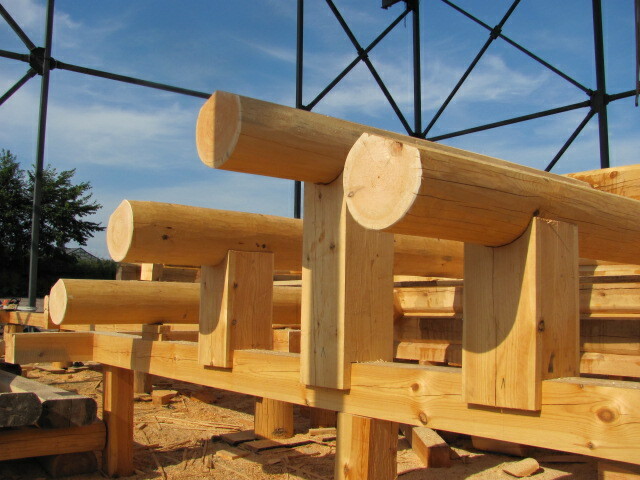 It is quick to construct. Small weight of the ready structure. 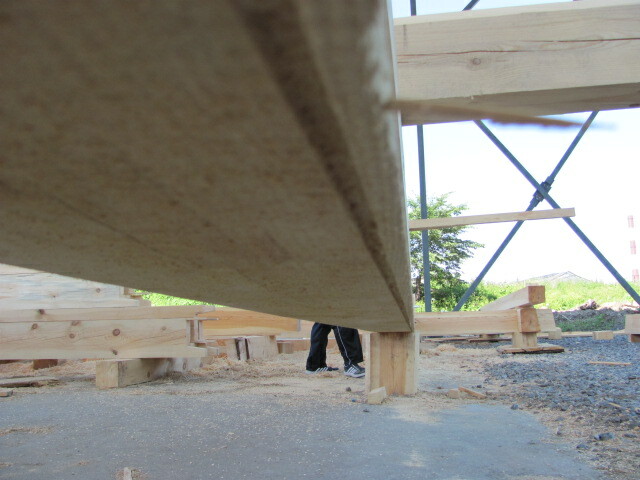 – Walls of the timber frame house remind sandwich. 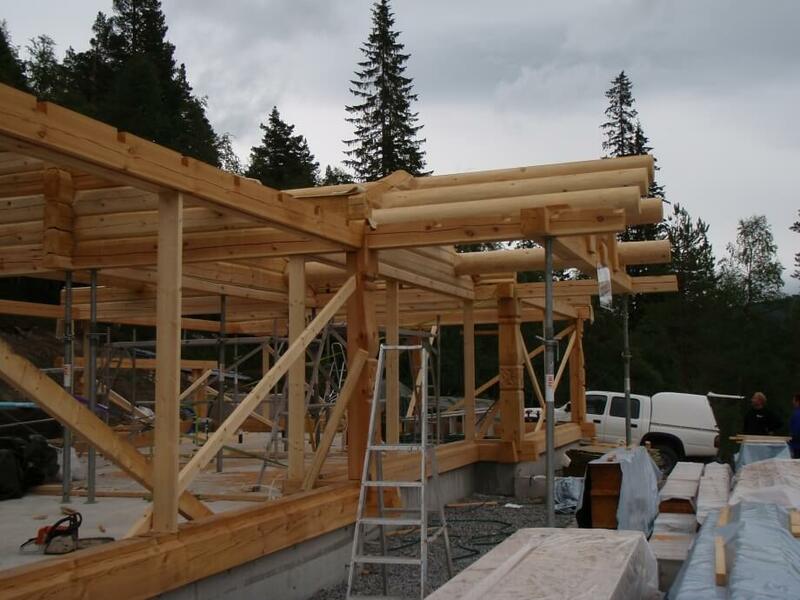 Heating insulation is Rockwool. 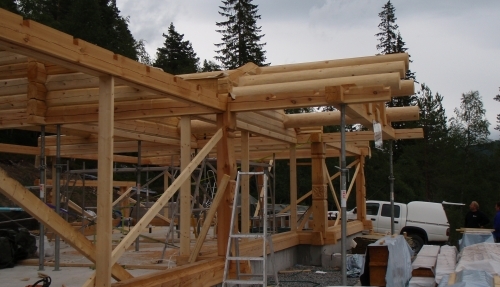 Finishing outside and inside is done by various finishing materials according to architectural design. 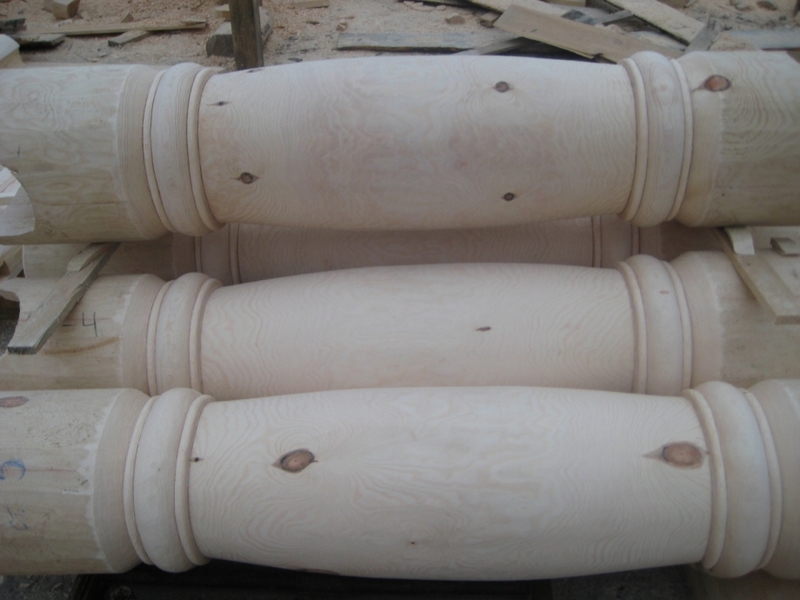 Traditional Russian style, diameters starting from 280 mm up to 450 mm. 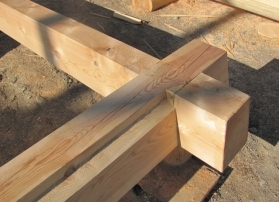 Canadian notch. 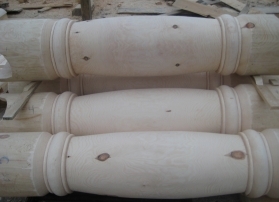 Environmental friendliness, great thermo protection, natural air interchange and longevity are the peculiarities of a round-edge cant house. All inside and outside walls, gable end are made of round-edge cant with thickness 210-250 mm. 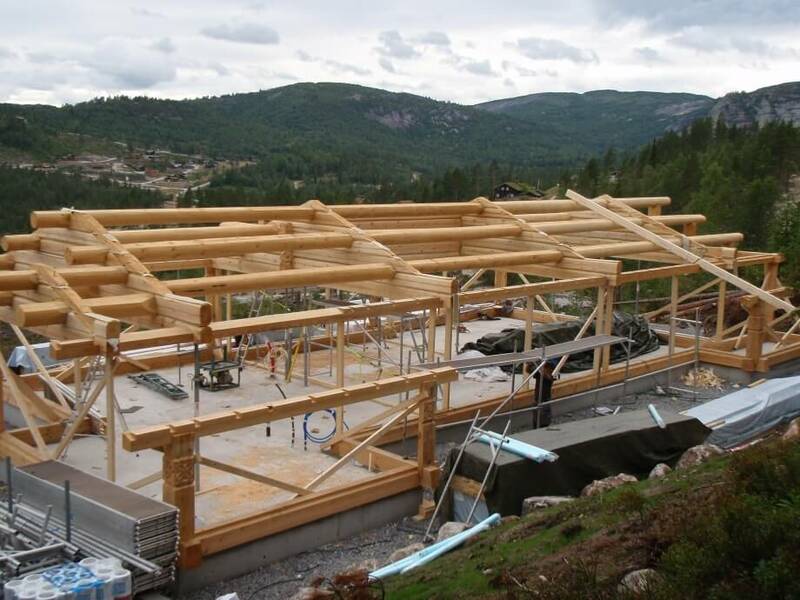 Such style is widely spread in Norway. Main features of round-edge cant house is that they are truly environment friendly, they have perfect heat insulation, air exchange, long life cycle, inner space if very comfortable for living. 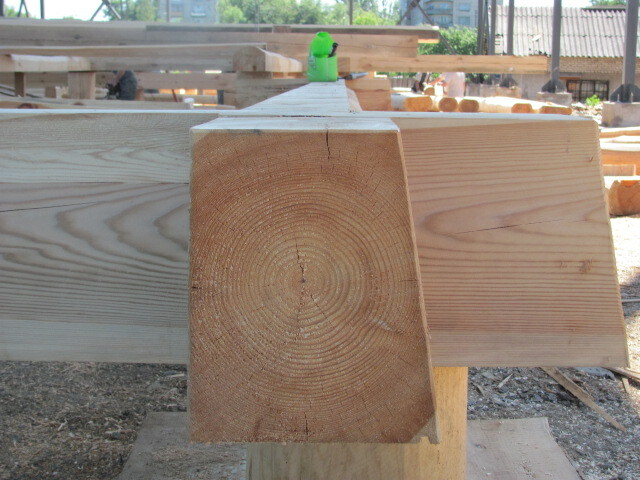 Purely Canadian construction of type. 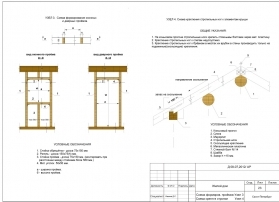 Чисто канадский тип конструкции. 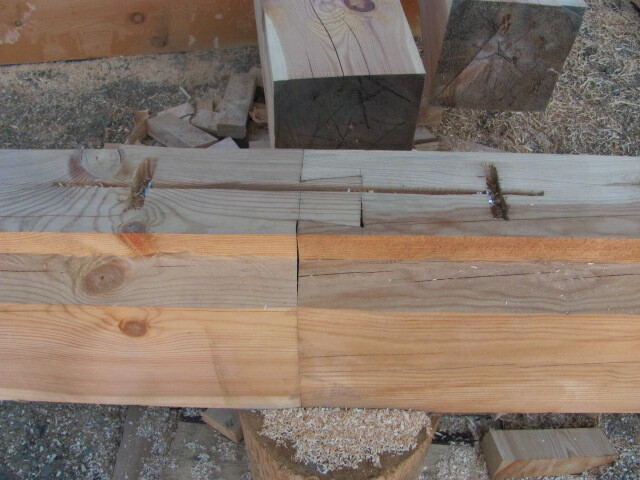 The ground floor - cut, W-gap, Canadian notch. 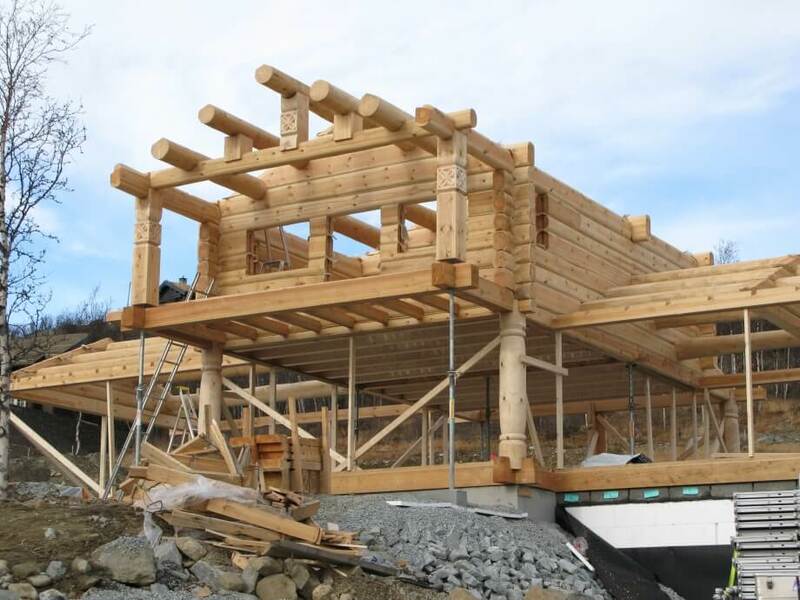 The first floor – non-shrinking, framed.